$430,000 median selling price that is still 33% below June 2007’s peak of $645,000. The most recent median is 16% above the cyclical low hit in January 2009 at $370,000 — a current bottom that was -43% below the peak. Single-family homes resell for 31% less than their peak pricing (June ‘07) while condos sell 36% below their peak in March 2006. Builder prices for new homes are 27% below their February ‘05 top. Single-family homes were 69% more expensive than condos in this period vs. 68% a year ago. From 1990-2008, the average house/condo gap was 57%. 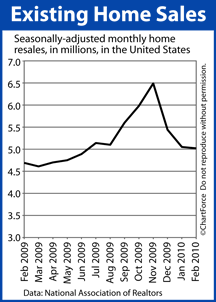 2,669 residencessold in April vs. 1997-2006 monthly sales average of 4,304 per month. Builder’s new homes sales were 3% of all residences sold in the period vs. 4% a year ago. From 1990-2008, builders did 15% of the selling. A lot of last-minute homebuying decisions were made Friday as buyers rushed to qualify for a federal tax credit that expired that day. Buyers needed to have a signed contracts in hand to get a credit of $8,000 for first-time buyers and $6,500 for repeat buyers. They also must close escrow by June 30. Broker Steve Thomas of Altera Real Estate reported that the number of deals signed increased 6.2 percent from two weeks ago and 10 percent over the past month. “Buyers are pushing their way into escrow, but I think the momentum will carry even after the expiration,” Thomas said. Coto de Caza agent Bob Phillips spent part of Friday dashing from Santa Ana to Capistrano Beach, then to a listing agent’s office to get a signed contract to an East Coast bank in time for its approval. His clients got outbid Thursday, after offering $11,000 over the asking price on a bank-owned home. His cell phone rang at 6 a.m. Friday with news that the top bidder got cold feet and backed out. He had to drive to both clients’ work places to get their signatures, then dash over to the listing agent’s office for the bank’s approval. Several agents noted that buyers stopped looking at homes listed as short sales, or selling below what’s owed the bank, since lenders typically are pokey in responding to offers. Thomas and others predicted that the $200,000 set aside for the California tax credit likely will be exhausted in a month, rather than in the seven months allotted for it. Mortgage rates and home affordability have improved lately, thanks to an unlikely ally — Mother Nature. In the 7 days since Iceland’s Eyjafjallajökull erupted, ash clouds have grounded planes, disrupted businesses, and stranded exports in warehouses worldwide. It’s a drag on commerce that’s spilled over onto Wall Street. As experts debate the potential for future seismic activity, traders are taking some of their investment risk off the table. In trading circles, it’s called “safe haven buying”. When the market gets cloudy, investors often move their cash into relatively safe assets. This includes government-backed securities — mortgage-bonds among them. Demand for bonds rise, pushing up prices and driving down rates. Conforming and FHA mortgage rates touched a 3-week low earlier this week. 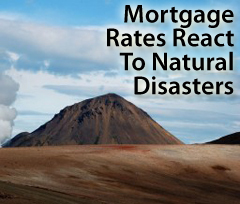 Volcanic eruptions and like natural disasters remind us: mortgage rates change for all sorts of reasons. Some we can predict, most we cannot. There’s literally thousands of influences on the U.S. mortgage market. If you’ve been shopping for a home or floating a mortgage rate, luck’s been on your side. Mortgage rates have fallen post-Eyjafjallajökull. However, as ash clouds dissipate and business resumes worldwide, investors will regain their collective appetite for risk and safe haven buying will reach its natural end. When that happens, mortgage rates will rise. Therefore, use the seismic uncertainty to your advantage. Consider locking your mortgage rate sooner rather than later — while rates are still low. The O. C. Market Report – This Market is Taxing! Below is the latest Orange County Market Report from my friend Steven Thomas, the President of Altera Real Estate. Steven’s reports are cited and discussed in most of Southern California’s media, as an authoritative source of local real estate information. I have slightly altered his report to make it a bit easier to read, but the context and content remains true to Steven’s report. “The Orange County Market Report – This Market is Taxing! Talk to an Orange County buyer, especially a first time home buyer, and you will quickly find that the real estate market is simply crazy. Let’s first establish that there are two different markets – below $1 million, HOT, and above $1 million, COLD. The below $1 million market accounts for 77% of the total active inventory, and 94% of demand. The lower the range, the hotter the market. Most buyers new to the market have already formed an incorrect idea of the real estate market. They think that the market is plagued with desperate sellers waiting for a buyer to finally write an offer to purchase at a major discount and an incredible “deal” for the buyer. Instead, new, fresh inventory is scarce and buyers find that they are competing for anything half way decent that hits the market. Properties that are priced well and in good condition, garner tremendous attention and procure multiple offers. Writing a purchase offer at the list price only to lose to three other buyers that brought in offers above the list price is common. Sales prices above list prices are common. First time home buyers losing out on properties to investors with larger down payments is common. The reality is that if a buyer is looking to bargain and negotiate, they are better off attending the local weekend swap meet. Remember, values of homes have already dropped significantly, 35% or more. Some economists have argued that values have dropped below where they should be today, which is often the case in real estate downturns. So, homes are already heavily discounted from where they were a few years ago. Home affordability has returned to the Orange County real estate market. Interest rates are still at historical lows. Throw in buyer income tax credits and we have all of the ingredients for a major seller’s market. Buyers entering the fray in today’s market get a real quick dose of reality and, if they really want to buy, sharpen their pencils real fast. In the lower ranges and in hotter areas, homes are starting to sell for more than the last comparable sale. The only thing that is keeping values from taking off like they did before is the distressed inventory. Housing Demand: Demand has not seen these levels since the beginning of August 2005. Demand, the number of new pending sales over the prior month, increased by 126 homes over the prior two weeks and now totals 3,748, a 3% increase and the height thus far in 2010. Last year’s height in demand was reached in June at 3,652 pending sales. Demand is 195 pending sales stronger than last year at this time and 1,374 stronger than two years ago. It seems as if demand is beginning to hit a plateau, so we will have to watch and see if that trend continues over the coming weeks. Developing Trends: The active listing inventory has continued to gradually increase after bottoming at the beginning of the year. Over the past two weeks, the inventory has increased by 266 homes to 9,177. We started the year at 7,165 listings and so, have added 2,012 homes to the active inventory thus far. Last year, the inventory continued to drop from mid-March to the New Year. Towards the end of last year, the drop was probably more in line with the cyclical drop in the inventory that starts in September until the end of the year. Customarily, during the beginning of the year and into the Spring market, more and more homeowners place their homes on the market in anticipation of the strongest time of the year to sell. In the Spring market in 2006 and 2007, homeowners often tested the market and attempted to obtain values above the current fair market value. There were a ton of overpriced listings that remained on the market and which were not successful in selling – EVER. Instead, they just clogged the inventory and it methodically grew, reaching a height in August 2007 of just shy of 18,000 listings. In 2008 and 2009, homeowners no longer tested the market and the discretionary ( “equity”.) seller disappeared. During the second half of 2009, the Orange County active listing inventory continued to shed homes and not as many new, fresh homes were placed on the market. REALTORS® in the trenches were complaining of a lack of inventory and nothing “fresh” to show their buyers. We still hear that there is a lack of inventory, but behind the scenes, the active inventory is slowly but surely nudging upward, in every price range. It remains to be seen if the trend in an increase in the active inventory continues. Will the equity homeowner return or will more and more homeowners place their toe in the water, testing the market? We will have to wait and see. There are currently 1,384 fewer homes on the market today than just one year ago and 6,379 fewer than two years ago. Expected Market Time: The lower the range, the lower the expected market time. The expected market time for all of Orange County is currently at 2.45 months, a slight drop from 2.46 months two weeks ago. For homes priced below $500,000, the expected market time is 1.63 months, a deep seller’s market. For homes priced between $500,000 and $1 million, the expected market time is 2.84 months, still a seller’s market. For homes priced above $1 million, the expected market time is 9.44 months, the higher the range, the slower the market. For homes priced above $4 million, the expected market time is 38.44 months, or over 3 years. Distressed Inventory: Again, not much has changed in the distressed inventory. The number of active distressed homes on the market, short sales and foreclosures combined, decreased by 33 homes to 2,781 and represent 30.3% of the active inventory. Last year at this time, there were 4,006 distressed homes on the market, representing 37.9% of the active inventory. The number of foreclosures within the active listing inventory decreased by two homes in the past two weeks from 418 to 416. Yes, that is correct. With all of the talk of foreclosures there are only 416 on the market in all of Orange County. The expected market time for foreclosures is 1.01 months. Short sales are a different story; there are plenty of short sales in Orange County. Short sales are where a homeowner attempts to sell a home for less than the total outstanding loans against the home, which requires the lender (or lenders in many cases) to approve the short sale, indicating their willingness to take less than the full payoff of a loan. Most short sales are not as fast as their name would suggest, and, on average, take months to close. The number of short sales within the active listing inventory decreased by 31 and now total 2,365. The expected market time for short sales is 1.61 months, also a HOT seller’s market. Everybody’s looking for a deal, so foreclosures and short sales tend to fly off of the market. The Most Absurd Tax Credit EVER? Like the former “Cash for Clunkers” program for automobiles, there will likely be a mad scramble for those credits – and a lot of disappointed buyers. Comments Off on The O. C. Market Report – This Market is Taxing! It’s yet another signal that the housing market nationwide is stabilized. Non-military members must be under contract by April 30, 2010 and closed by June 30, 2010 in order to claim up to $8,000 in federal tax credits. Of course, we Californians have a new $10,000 tax credit which begins on May 1st – until the alloted funds run out, anyway. Each week, government-led Freddie Mac publishes a weekly mortgage rate survey based on data from 125 banks across the country. 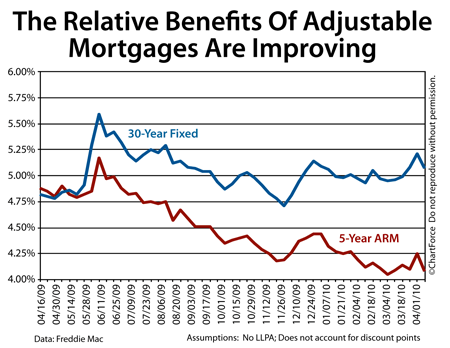 According to this week’s results, the relative rate of a 5-year ARM is extremely low versus its 30-year fixed-rate cousin. Mortgage markets improved last week for the second week in a row. And, also for the second week in a row, rates were down on “safe haven” buying — just not for the same safe haven reasons as before. If you’ll remember, safe haven buying is when investors sense market risk, then move money toward less risky investments. Well, because the U.S. government backs the bonds of Fannie Mae and Freddie Mac, mortgage bonds tend to fit the “less risky” description and as Iceland’s volcanoes shut down air traffic in Europe, mortgage bonds benefited. That was early in the week. Then, on Friday, when the SEC announced fraud charges against Goldman Sachs, a second wave of bond buying began as Wall Street fled the stock market. Mortgage rates fell a second time and the improvement carried through the market’s weekly close. Conforming and FHA rates are as low as they’ve been since March. This week, there’s not much data due until Thursday, but even Thursday’s releases won’t make a huge impact on rates. Initial Jobless Claims : Important vis-a-vis broader employment figures. A strong number could push rates up. Existing Home Sales : Housing remains a key part of the economy. Strong sales are expected because of the tax credit. 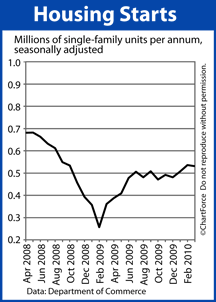 Producer Price Index : A “Cost of Living” index of business. A weak reading is expected because inflation is low. Then, Friday, New Home Sales is released. The bigger risk to home buyers this week than data is the reversal of the safe haven buying patterns that have kept mortgage rates down over the past 10 days. Keep an eye on the markets and your loan officer on speed dial. Markets can — and do — change quickly. You’ll want to time your lock accordingly. 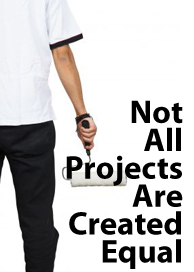 Not all home improvements are created equal. Especially if you’re looking for “resale value” back from your work. An article from the Wall Street Journal lays it out cleanly. Function beats flash these days so be wary of where you spend. Environmental upgrades such as home insulation and energy-efficient steel entry doors are recovering a much greater percentage of their cost these days than major remodels including kitchens or bathrooms. This is especially true for homes that are already “over-improved” relative to the neighborhood. Upgrading the biggest and best homes on the block can be a losing proposition. Energy-efficiency projects also recoup costs monthly in the form of lower heating and cooling bills. Remodeling Magazine says a larger number of homeowners will remodel their homes in 2010 with less emphasis on upgrading kitchens and bathrooms, and more emphasis on adding new rooms. From an appraisal perspective, this is a terrific way to increase your home’s value — especially if your home’s bed/bath count lags your neighbors. Before starting a home improvement project, regardless of whether your goal is increase resale value, talk with a real estate agent about other homes in the area and how they’re built. At worst, you’ll gather some ideas you can work into your plan. At best, you’ll keep yourself from over-improving. Taxes are due April 15 and if you’re among the millions of Americans who wait until the last week to file, below is a linked video interview that could help you reduce your federal tax liability. The interview also talks about how taking a parent, child or other family member into your home may change your tax filing status and reduce your tax liability. Even if you’ve filed your taxes already, watch the video above. You may find that you missed a potential deduction. If that’s the case, consider filing an amended return with the IRS to recapture the credits you left on the table. Most times, the benefits of re-filing will outweigh the costs of doing it. Be sure to talk with your tax professional for personal tax advice. HOPE NOW announced Wednesday that its members completed an estimated 95,586 proprietary loan modifications in February 2010, which is almost double the 52,905 modifications completed under the government’s Home Affordable Modification Program (HAMP) during the same month. Of the proprietary loan modifications completed in February, approximately 78 percent included a reduction of principal and interest payments. HOPE NOW’s data also showed that foreclosure starts and sales dropped 17 percent for the month, along with a 4 percent decrease in the number of 60-plus day delinquencies. However, with almost 4 million loans currently in default, Schwartz said HOPE NOW realizes that its work is not yet done. She said mortgage servicers and housing counselors have worked extremely hard through aggressive borrower outreach, and HOPE NOW remains determined to keep as many families as possible in their homes. Meanwhile, doom & gloom bloggers continue to dismiss these significant facts, continuing to promote their fabrications that the Administration’s programs are a dismal failure – an absolute distortion of the reality that things are steadily getting better.